There was a lot of XXXTentacion-related news that surfaced last week. 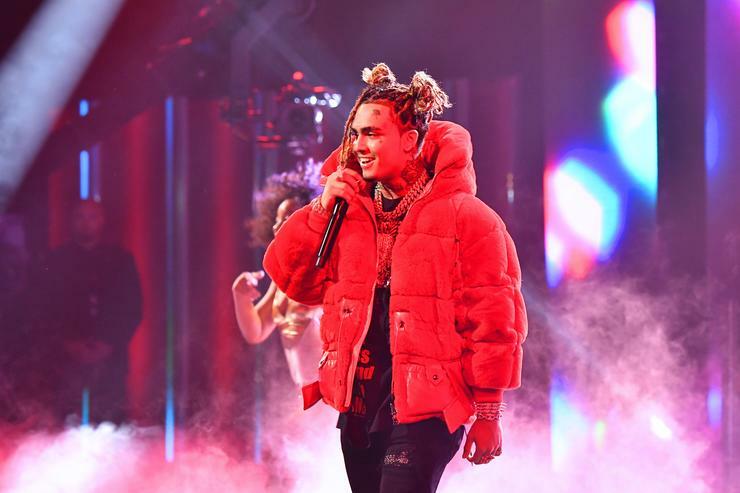 For one, a new posthumous track, a collaboration with Lil Pump, Swae Lee, and Maluma called "Arms Around You" showed up. It follows last month's "Falling Down" as the second posthumous track (not counting guest verses) in as many months. On the other hand, audio of X basically admitting to beating his pregnant ex-girlfriend surfaced. Even though he's deceased, his new music remains marred by the cold hard facts of his abhorrent actions. In our top ten this week, 2 Chainz, Chris Brown, Tory Lanez, and Swae Lee all have two appearances apiece. New tracks barely missing out on spots include Tee Grizzley and Offset's "Pray for the Drip" (#11), Tyler The Creator's "You're a Mean One, Mr. Grinch" (#12), Trippie Redd's "Topanga" (#13), and Rhapsody and J. Cole's "Sojourner" (#14). At this point, it doesn't matter if Tekashi collaborates with foreign rappers who lack US fan bases— he'll still make our top ten. He previously made the grade with Aneul AA on the Spanish language "Bebe," and now he's done it with a Dutch rapper by the name of Armoo. Their collab, "Bozoo," debuts at #10. A 'Mih and Dolla $ign joint album was already enough of a star-studded proposition, but this guest-laden MihTy cut is even bigger. Joined by Chris Brown and Wiz Khalifa, their track "Surrounded" debuts at #9. After an attempt on his life left him in the hospital with three gunshot wounds, Texas' Yella Beezy finally returned home last week. He arrives just in time to celebrate with this huge remix of his hit "That's On Me," which debuts at #8. Last week, Tory Lanez put out Love Me Now?, his second full-length of the year. Among the guest-heavy tracklist is "DucK my Ex," which features Breezy and Tity Boi. It debuts at #7. The only holdover from last week's list, "Transformer" is a Juice WRLD-less cut from the young singer's WRLD On Drugs collab album with Future. The duet between Fewtch and Nicki holds steady at #6 in its second week out. It's Takeoff's turn! Following Quavo's solo debut and Offset's non-Migos venture Without Warning, the third Migo is now getting his own shot at solo stardom via The Last Rocket, his debut that arrives on Friday, November 2. Its lead single, "Last Memory," debuts at #5. It's a little surprising that "Miami," and not the Chris Brown and 2 Chainz-assisted "DucK my Ex," is the highest-charting song from Tory Lanez's new album. Then again, that speaks to the kind of year Gunna's having. "Miami" debuts at #4. Tyga's found surprising success with a few of his singles this year, but now he's taking a break for a remix. His and Swae Lee's "Shine" is a retooling of Kodak Black, Travis Scott, and Offset's "Zeze," which is currently killing the actual charts. "Shine" debuts at #3. At long last, a new Cardi solo joint. The ascendant star hadn't dropped new tracks as a lead artist since Invasion of Privacy and her firstborn daughter arrived earlier this year, but "Money" changes that. The new single debuts at #2. X's last single was presented as a joint cut with Lil Peep; this time he's paired up with Lil Pump. Assisted by Swae Lee and Maluma, "Arms Around You" debuts at #1.